What do you think about the spices of Autumn? Yup, I am talking about clove, nutmeg and cinnamon. Allspice is used often, too. I am a huge fan of these warm spices. They bring a flavorless pumpkin pie to life and what I have quickly discovered is that they hold their own, too. Meaning, you don’t have to include pumpkin to highlight the spices. The idea for M & M Autumn Spice Cookies came when I spotted a bag of M & M’s that only included Autumn colors. I know I could have easily thrown them into a batch of cookie dough but I wanted to give the colors authenticity. Refrigerating the dough for thirty minutes helps avoid ‘pancake’ cookies. They are still thin but not totally flat against the pan. 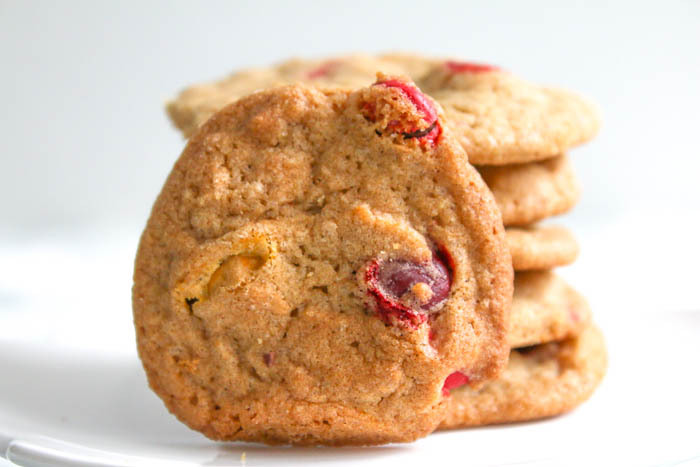 There is a lovely crunch to M & M Autumn Spice Cookies which everyone loves. M & M’s crack while baking so if you want to showcase some of the whole candies on top of the cookies, either set some M & M’s aside for this purpose or buy two bags and use the second one for the top candies. Personally, I would go with the second option because I want M & M’s throughout the dough as well as on top. 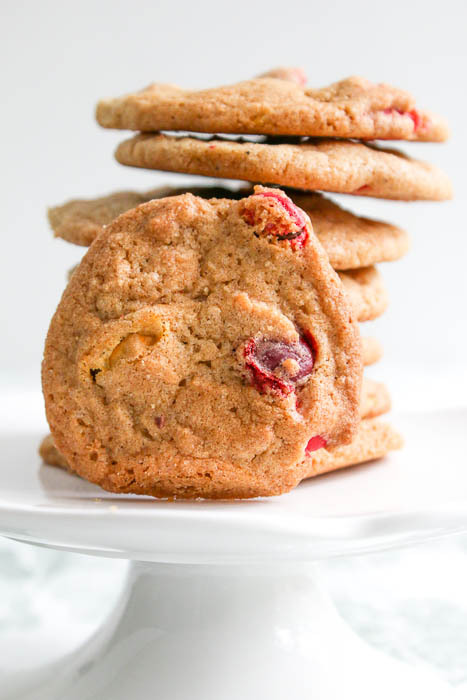 Either way, the feeling of Autumn will shine through with each bite of M & M Autumn Spice Cookies and the batch makes enough to share without feeling like you are sacrificing! Whisk together the flour, baking soda, salt, cinnamon, cloves and nutmeg in a small bowl. Set aside. Cream the butter, brown sugar and sugar together until light and fluffy, about 3 minutes, scraping the bowl down as needed. Add the eggs and vanilla. Mix well. Add the flour mixture. Stir in the M & M's. 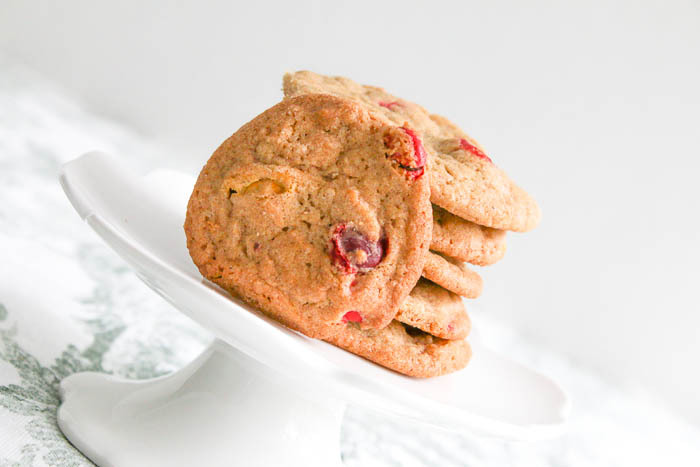 Using a 2 teaspoon cookie dough scoop, drop the cookies onto parchment lined baking sheets. Bake in a 325º oven for 14 minutes, until light golden brown, rotating the pans top to bottom and front to back halfway through. Cool on the pans. M & M Autumn Spice Cookies freeze beautifully. I like to rewarm them in the microwave or oven to get that just baked freshness.